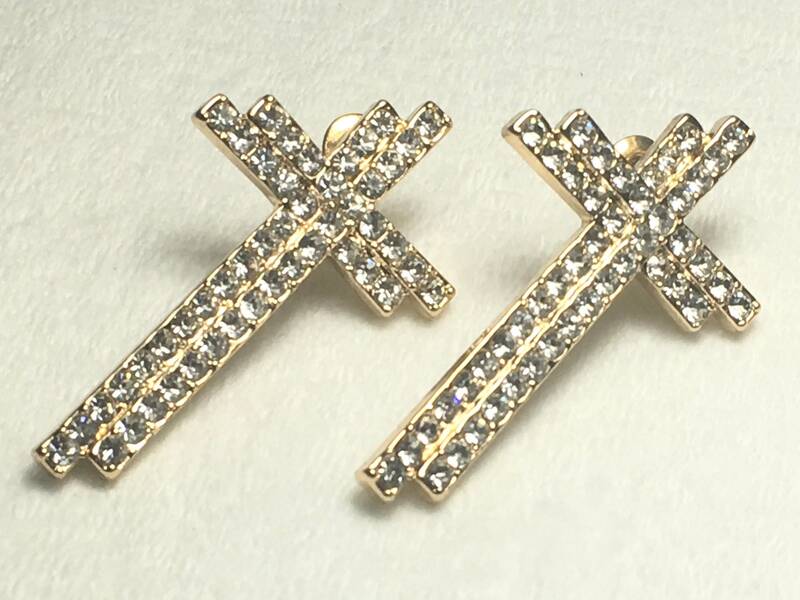 Gold Rhinestone Double Offset Rows Cross Stud Earring. Hollow Cross is Very bright and sparkly! Design has a very modern look. Great for a Wedding and you will wear them every day! 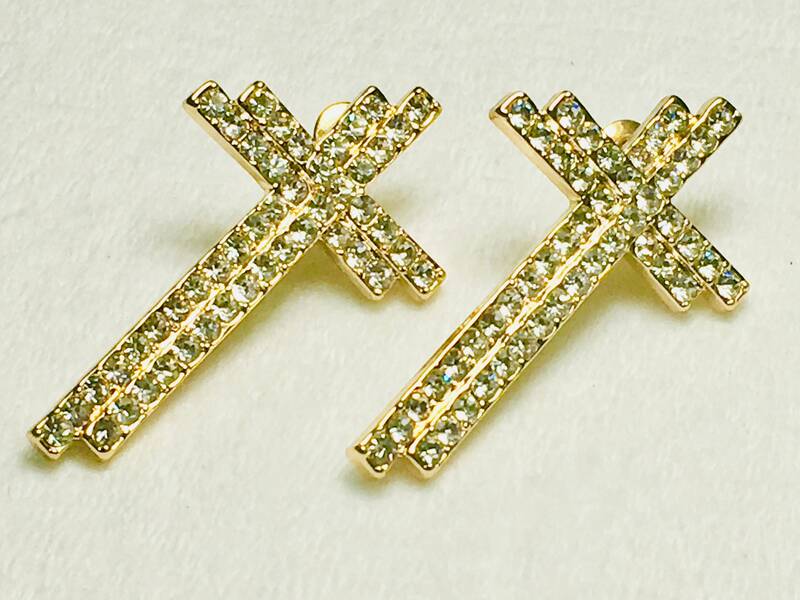 Over the top elegant Gold Plated Hollow Cross Rhinestone Earrings catch the light. These dainty crosses of each earring measures 1 1/2” long x 5/8” wide. Each of these Cross earrings is Gold in Color and comes with complementary post backs.